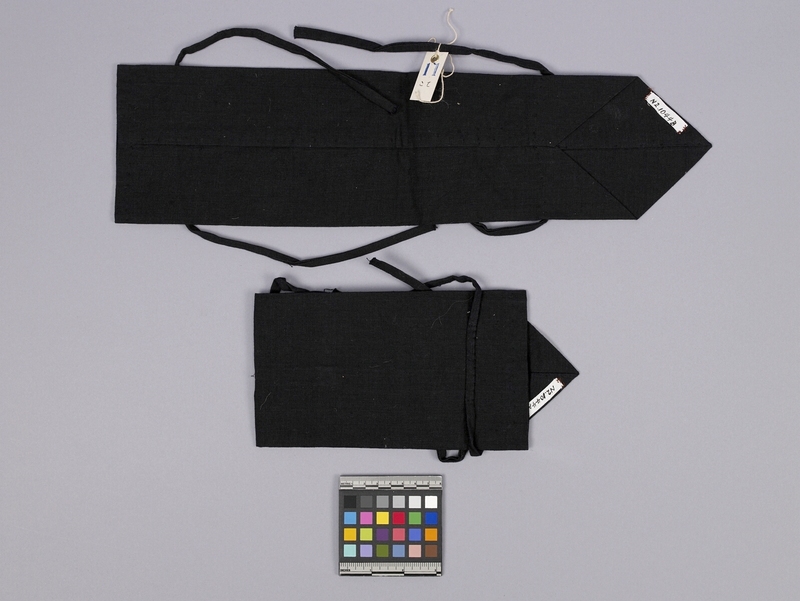 Item number N2.1044 a-b from the MOA: University of British Columbia. Long rectangular navy blue sleeves with ties at the top and the bottom (part a and b). Top of both part a and b have a triangular shape. Part a is folded in half with the ties coiled on top. Part b is stretch to full length with the ties coiled on top. 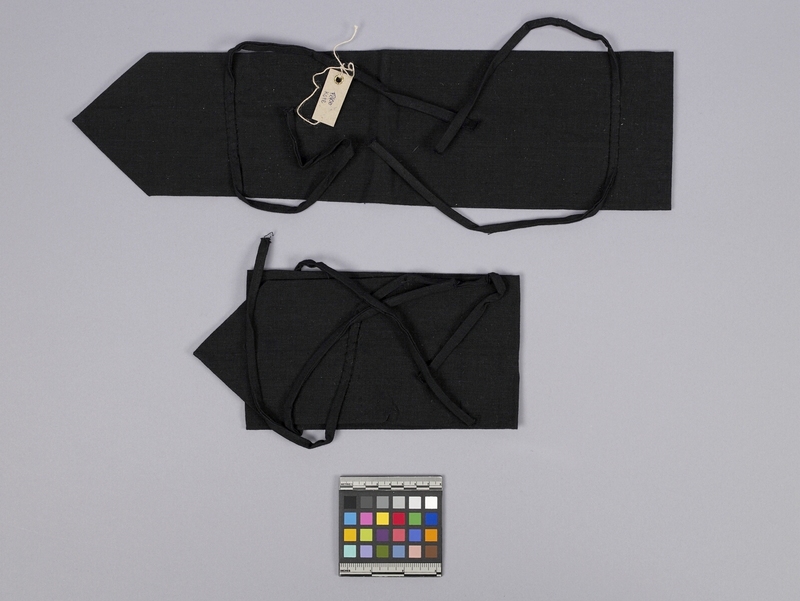 Part b has a cardboard tag attached to one of the ties with fibre string and a handwritten inscription that has been crossed out. Underneath this inscription, there is a handwritten inscription that reads: "kote."